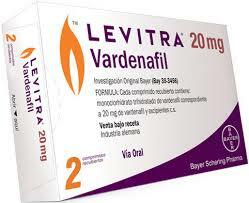 Comparing Viagra with Levitra, what is your best choice? When sildenafil began marketing in 1998, the drug company Pfizer sold half a billion dollars’ worth of its brand name, Viagra, in its first quarter. It was luck when the drug failed its study as an antihypertensive, but its male participants began reporting all of the erections they were experiencing. Now there was a drug which took the closeted “impotence” out into the open, made it a “dysfunction,” and offered a treatment for it. Because it did not cure erectile dysfunction (ED) and required continued use, for Pfizer it was the gift that kept on giving. Today, there other colors the “little blue pill” has to compete with—orange: tadalafil (Cialis); and yellow: vardenafil (Levitra). Both of these work by being PDE-5 inhibitors. PDE-5 inhibitors interfere with the metabolism of nitric oxide, which then can function longer to keep blood vessels open for continued blood flow. This results in having and maintaining erections. 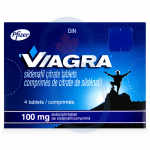 Therefore, both Levitra and Viagra, having the same mechanism of action, are going to have similar results and similar side effects. Has been marketed since 1998 and has the longest track record and safety profile. Works faster, according to FDA labeling, as quickly as within the half-hour. Less likely than Levitra to work the first time. Has similar side effects to Levitra, except that the famous “blue vision” and other optical effects are more likely. Has been around 5 years less than Viagra, with less of a track record. Takes twice as long to work, but it has been argued that it may work faster than this—as soon as within a half hour. Is more likely to work after a Viagra failure. Is there any difference about taking them? Both should be taken on an empty stomach. Fat and alcohol delay absorption. This is unfortunate since meals and alcohol have been a traditional part of romantic encounters in couples. Both should not be taken more than every 24 hours. Both should not be taken with other nitrates for hypertension. Both can cause visual changes, but Viagra has a cross-reactivity of PDE-5 with the retina’s PDE-6, creating an alteration in color perception, toward the blue (“blue vision”). Unilateral hearing loss is rare but reported in both. How most people choose between them? The choice between the two is usually tempered with a bit of stubbornness and brand loyalty. People tend to stick with something that works for them fine. (“If it’s not broke, don’t fix it.”) The cost can certainly become a significant aspect in one’s choice, but the fact that Levitra tends to work after a Viagra failure and is slightly more expensive may even the score in sales. Nevertheless, it is a truism that any drug can do anything to anyone. Therefore, how one man reacts to one may be very different from how he reacts to the other, just as two men may have different reactions with the same choice. Also, as time goes by, the man changes but the pill stays the same. What may be the right pill for him now may not be so six months later; alternately, what may be the wrong pill for him now may work fine in six months. All of this leads to the prudent advice that men should try each of these to see which one of them agrees with him more or gives the best results. More than likely, though, men will not be faced with anxiety, agonizing over which one to choose. If there’s going to be a choice, it most likely will be a choice based on their health—whether to take PDE-5 inhibitors at all…or not. Such a decision is best determined by a physician’s thorough examination and a clear and informative consultation of risks vs. benefit individualized for the patient and his medical condition. The Medical Letter; 56 (1442):34 May, 2014 and United States approved prescribing information available at National Library of Medicine DailyMed website. Montague DK, Jarow JP, Broderick GA, et al. The Management of Erectile Dysfunction. American Urological Association. Baltimore, MD 2005.